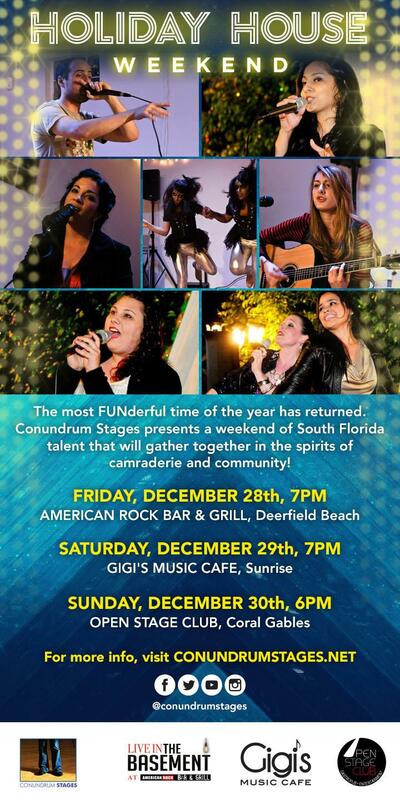 Conundrum Stages brings back its Holiday House event spotlight the finest in South Florida's live performance scene. From singers to actors, comedians to dancers, and all in between, join us for the weekend as we bring the spirits of camraderie and community together in the South Florida talent scene! ALL NIGHTS ARE FREE ADMISSION! !